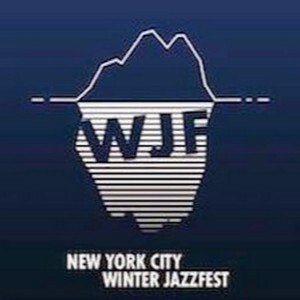 One of the earliest, and certainly one of the best, festivals of the year is the Winter Jazzfest in New York. Manhattan’s Greenwich Village will once again be the heart and soul of live jazz on 12 different stages. I remember last year when I attended the festival that it was necessary to decide to either just stay in one club and enjoy the music onstage or to zig-zag from one to the other, always taking the risk of not getting in because some of the clubs, well most of them, were reaching their audience capacities pretty quick. But anyway, this is one of the most adventurously-programmed festivals with a lot of new and exciting artists to explore and meet and greet a lot of peers along the way. This year, Germany’s ECM Records will be feted at a venue which is also new to the festival: the New School Tishman Auditorium at 63 Fifth Ave will be the ECM stage over two nights with 13 bands from the Munich-based roster to perform there. It would be simply too much name-dropping here (over 100 groups performing) but I wanted to highlight a few artists I’ll make sure not to miss: Forro In The Dark, the New York-based music collective merging forró, jazz, country, and what-have-you, will play the music of John Zorn at the New School Auditorium on 12th Street (January 15th at 11:40pm). One of my favorite albums of the year is Charenée Wade‘s release celebrating the music of Gil Scott-Heron (see review on these pages). She will play at the New School Jazz Building 5th Floor Theater (Jan 15th at 9:40pm). Dayna Stephens will present his new group 3wi with Gilad Hekselman and Sam Yahel at Judson Memorial Church (Jan 15th at 8pm). Classical vocalist Alicia Hall Moran (Jason’s wife) will team up with Brandon Ross at The Greene Space (Jan 15th at 7pm) and one of my recent discoveries, the brilliant self-contained group KING, will play at The Bitter End (Jan 15th at 9:40pm). Saturday’s Marathon will include Theo Bleckmann Elegy as part of the ECM night, GoGo Penguin, José James, Grégoire Maret & The Inner Voices with guest Jean Baylor, Holler and Bam with Toshi Reagon & Allison Miller, Dawn of Midi, Michael Mwenso and Brianna Thomas celebrating Louis & Ella, and Tongues in Trees. The kick-off concert will be at Le Poisson Rouge on January 13th with the Ex, Bill Laswell & Colin Stetson, and Happy Apple. Kamasi Washington will appear at Webster Hall the next day and after the two marathon days Friday and Saturday, the final night will center around Rova’s Electric Ascension, a John Coltrane Project by the San Francisco-based Rova saxophone quartet who will feature a lot of special guests at Le Poisson Rouge.